Chinese speed longboarder Qing Yunhui succeeded in the longboard downhill challenge in 18 minutes on Thursday on a winding mountain path in central China's Hunan Province. 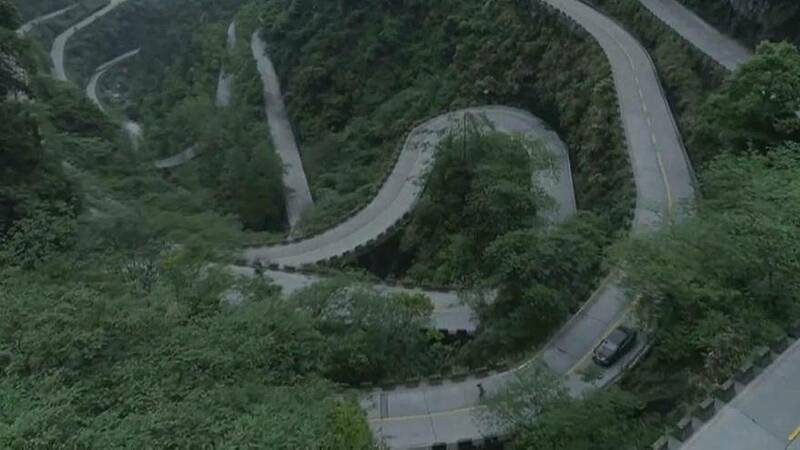 The winding path on the Tianmen Mountain, known as the Heavenly Avenue, is 10.77 kilometers long, with a fall of 1,100 meters, 99 bends close to the cliffs and numerous acute angled hairpin turns. The longboard downhill descent is an emerging extreme sport. According to the rule of this race, the challenger has to pass through the 99 bends error-free in less than 25 minutes. They are disqualified if the feet touch land.